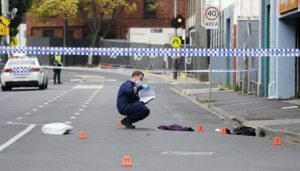 Continue reading "Two critical in Australia shooting outside nightclub"
Continue reading "3rd ODI: Virat Kohli’s ton goes in vain as Australia beat India by 32 runs"
Skipper Virat Kohli smashed a brilliant 72 runs off just 38 balls sparkled with six 6s and as a result India kept a decent target of 191 runs against Australia in the second and final T20I match played here on Wednesday. 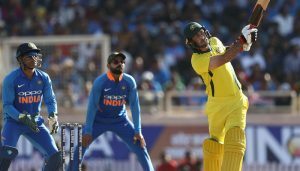 Chasing the low target of 127 runs, Aussies were well on course riding Glenn Maxwell's 43-ball 56 but wickets in quick succession towards the end of their chase made life difficult and in the end it was down to two runs needed off the last delivery. 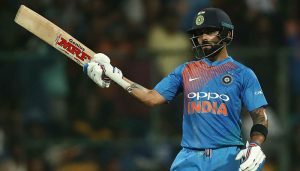 Skipper Virat Kohli's brilliant 104 runs knock and a consistent half century by MS Dhoni hel India beat Australia by six wickets with four balls remaining at the Adelaide Oval here on Tuesday. 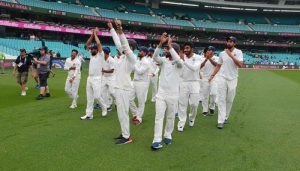 With this win, India levels series 1-1. It is to be mentioned that out of 13 ODIs they won only 2 matches last year. 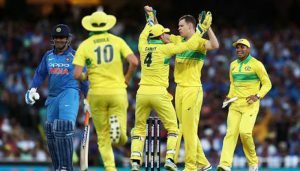 And with this win, they've got a terrific opportunity to seal the series in the next game or maybe in the final ODI. 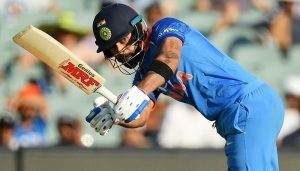 The 2nd ODI will be played on January 15 at Adelaide Oval. 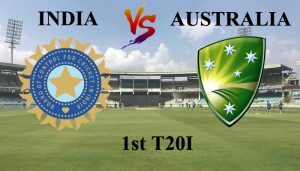 The fourth and last match played between India and Australia was declared as a draw due to rain.